Or use the online application and pay with PayPal. Questions you may email Melissa Carson the Membership Secretary. North Dakota Shooting Sports Association (NDSSA) is a non-profit organization composed of competitive shooters, hunters, collectors and general firearm enthusiasts. It was organized in 1951 and is the official state affiliate organization of the National Rifle Association of America. The North Dakota Shooting Sports Association (NDSSA) sponsors numerous competitive shooting events in several disciplines. The North Dakota Shooting Sports Association (NDSSA) also establishes annual shooting schedules, provides state championship awards in shooting disciplines and maintains state shooting records. Working in cooperation with the NRA Institute for Legislative Action, the North Dakota Shooting Sports Association (NDSSA) represents the interests of firearm owners in legislative and legal matters at the local and state level. The North Dakota Shooting Sports Association (NDSSA) is a grassroots organization whose members participate in its activities and its functions at both the local and state levels. It is composed of individual members and affiliated dubs. Officers and a board of directors are elected according to a North Dakota Shooting Sports Association (NDSSA) constitution to represent its members. Daily activities of the association are carried out by the officers, along with committee chairmen designated by the president, who coordinate ongoing shooting, legislative, and administrative functions. As a serious or casual shooter, sportsman, collector, or general firearms enthusiast, the North Dakota Shooting Sports Association (NDSSA) is your most effective voice in assuring continued possession and use of firearms for all lawful purposes. Our experience in coordinating existing shooting disciplines and developing new events for our members; combined with our collective knowledge of firearm laws and your rights within these laws, places us in the best position to represent our members. To do this on a continuing basis, we need your input and your membership. State Law 62.1-04-03: License to carry a firearm or dangerous weapon concealed - 1985. This is the ‘shall issue’ law, which permits law-abiding citizens of North Dakota to carry concealed. State Law 42.01.01.1: Sport-shooting range deemed not a nuisance. North Dakota Range Protection Act August 1, 1999. A protection act for prohibiting sport shooting ranges from being deemed a nuisance. November 7, 2000. North Dakota constitution, Art, IV Section 27 was added and reads: Hunting, trapping and fishing and the taking of game and fish are a valued art of our heritage and will be forever preserved for people and managed by law and regulation for the public good. Chapter 304; Senate 2340: Firearms Limited Liability Act — March 22, 2001. Prohibits nuisance law suites against the firearms industry because of unlawful use of firearms. Promotion of Shooting — The Association sponsors, coordinates and promotes the shooting sports across the state. Shooting disciplines include large bore and small bore rifle and hand gun shooting, metallic silhouette matches and air rifle and air hand gun competition. Sponsorship and funding is provided for junior shooters to national championship matches. State championship trophies are provided for shooting disciplines. State shooting records are awarded on a continuing basis. Legislative Action — North Dakota Shooting Sports Association (NDSSA)’s Legislative Action Committee, working with the NRA’s Institute for Legislative Action, the administrative, legislative and judicial branches of government are monitored on a an ongoing basis to assure you, your right to own and use firearms for lawful purposes are not infringed. Participating in writing or rewriting state firearms laws. Reviewing any proposed legislation affecting the rights of firearms owners. Testifying before legislative and interim committees. Developing rapport with government agencies and officials responsible for promoting or regulating shooting or sporting activities of interest to our membership. 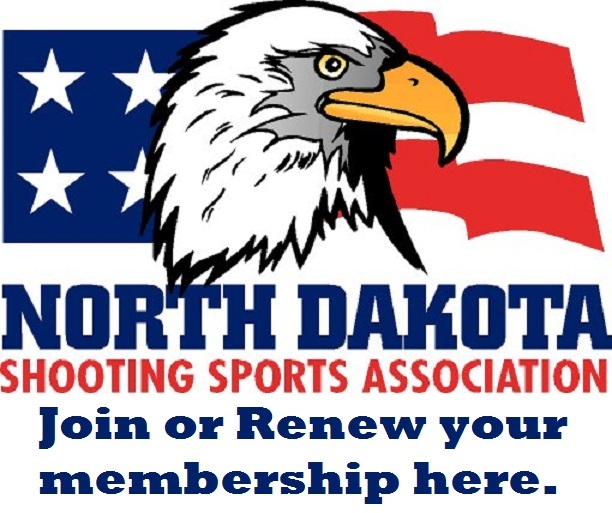 Communications — The North Dakota Shooting Sports Association (NDSSA) publishes a newsletter designed to give members the latest information on upcoming matches, results of past matches, current legislative activity, and other timely subjects of interest to firearm owners. The match sponsors mail match programs to shooters. The North Dakota Shooting Sports Association (NDSSA) also issues periodic legislative alerts when critical events require prompt member action. Our website ndssa.org. Political Information — By use of surveys and voting records, we inform association members and NRA members of political candidate views and actions on issues that directly relate to firearm owner’s rights. Education - The North Dakota Shooting Sports Association (NDSSA) distributes articles, pamphlets and other written material designed to educate the general public on issues of firearms ownership and use. Individual members and affiliate dubs participate in gun shows, fairs and similar events on a regular basis to interact with the public and educate them regarding firearms laws, competitive shooting, and all other lawful uses of firearms. The North Dakota Shooting Sports Association (NDSSA) is the official representative organization of the NRA in North Dakota. The CMP is the National Corporation for the Promotion of Rifle Practice and Firearms Safety, Inc.
U.S.A. Shooting is the National Governing Body for Olympic Shooting Sports in the United States of America.